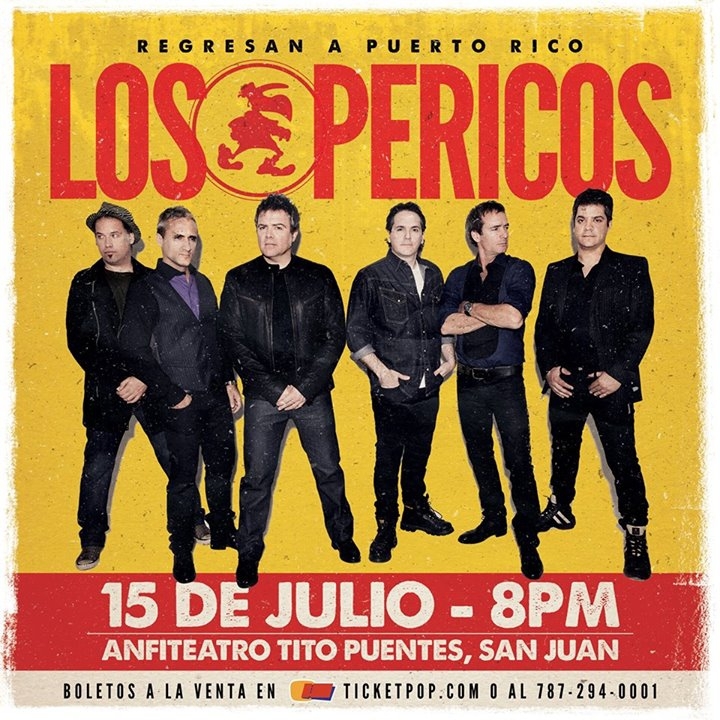 Los Pericos will be performing a concert event in Puerto Rico at the Tito Puerte Amphitheater. The amphitheater is located in Luis Muñoz Marín Park, San Juan. $25.00. Service Charge not included. Tickets available at Ticket Pop, Walmart Stores, Amigo Supermarkets.